It is in the beautiful city of Oslo that a cat named Zero had experienced the fear of his life. 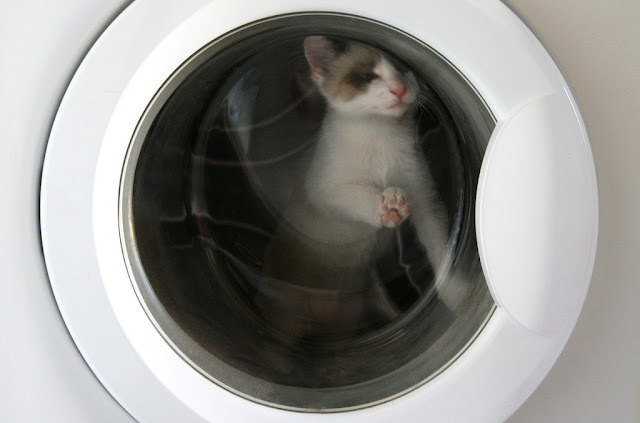 While his human was sorting the laundry before placing it in the drum of the machine, the cat silently entered the machine. Without paying attention, the man starts a 40-minute program and moves away to do something else. It is only when the machine stops that the teenager of the family finds his cat. Obviously, the animal is terrorized, but also completely soaked and sounded. According to his masters, he seemed shriveled and could not regain his senses. Seeing the condition of the cat, the whole family accompanies him to a veterinary clinic so that he can be taken care of and can get by. Zero will spend two long days under surveillance to regain his senses and verify that he had no after effects.